"Officially founded January 2, 2007 in the Northern Californian town of Placerville a.k.a. Hangtown (Population: Laughable), The Neo Illuminati is not just a music project, it is an organisation. The song "What Is The N.I." can explain things better than words on a page. The N.I. implements several different genres including Electronic, Trance, Industrial, Metal, and Rap, with more experimentation planned in the future. The Neo Illuminati has its own genre, referred to as "Nor*Cal Industrial". At the moment, The Neo Illuminati music project exists mainly as Jason St. Denis Brown as the core founding member with artists from different styles bringing their stuff to the table, such as T Hoodie and Mr. Smoke. 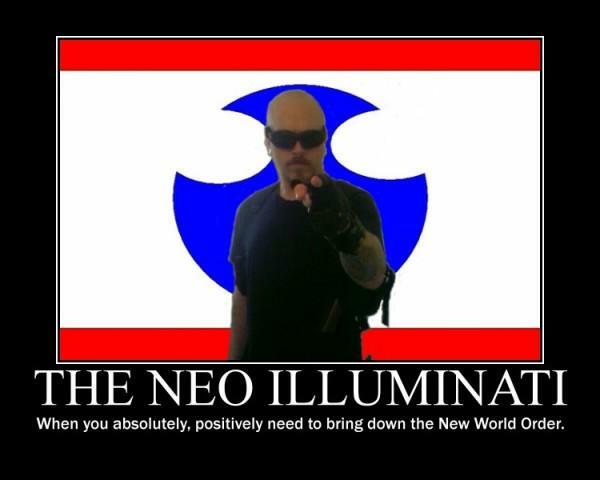 The Neo Illuminati is a peaceful organisation. Any and all parties that commit acts of violence or terrorism in the name of The Neo Illuminati are simply not associated with us in any way, shape, or form. The Neo Illuminati is the Continuity of Operations Plan. The Continuity of Operations Plan refers to the preparations and institutions maintained by the United States government, providing survival of federal government operations in the case of catastrophic events. It is also known as Continuity of Government in other countries. With catastrophic events such as the 9/11 inside job, the intentional crashing of the economy, the releasing of viruses such as bird and swine flu, the "patriot" act destroying the constitution, this country, and the world, is indeed in a state of emergency. When the Constitution of the USA is messed with, this country ceases to be The United States of America. The N.I. is here to help. We are your last, best, and only hope. Put simply, The Neo Illuminati isn't trying to overthrow the government, we ARE the government. I am Jason St. Denis Brown. 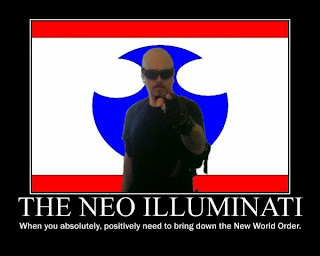 Founding Member of The Neo Illuminati, Head Intelligence Officer, and 6 Star General of The N.I. Army. Know my name and fear it."